It’s a dangerous game to play, invoking the Dakar mojo, but Jeep and Mopar did just that with their Cherokee Dakar concept vehicle. 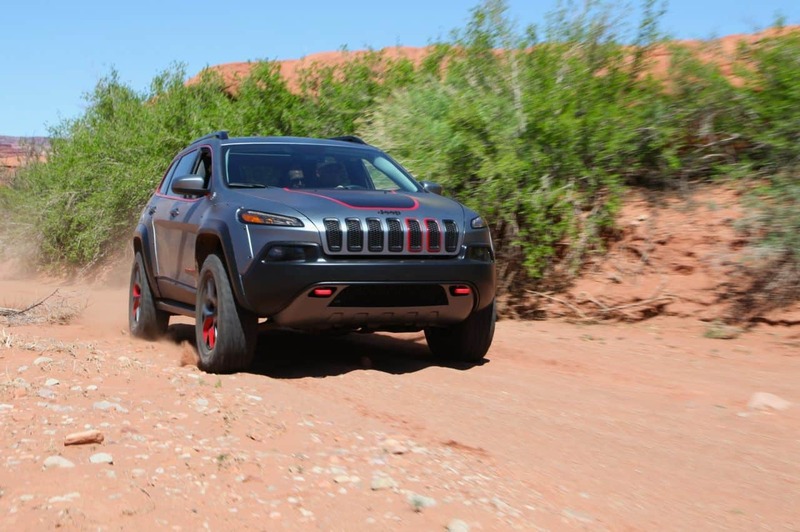 Designed to test the outer limits of the Cherokee’s off-road potential, the Dakar was recently rolled out at the Easter Jeep Safari in Moab and in the process garnered more attention than any other vehicle in the lineup. Being the lucky boys we are, the Expedition Portal team was on hand to get some time behind the wheel, and it didn’t disappoint. As medium-sized overlanders go, the Dakar is an exciting glimpse into what the future will undoubtedly bring. More than just an assemblage of smart aesthetic cues, it is mechanically advanced and embodies the true spirit of the Jeep brand. If nothing else, it is an absolute blast to drive. The most noticeable attribute of the Dakar are the 33-inch BFGoodrich Mud Terrain tires framed by aggressively flared and riveted fenders. The tires, combined with a two-inch lift and coil-over suspension, give the Dakar a stance and presence that doesn’t just pander to the rally-race motif, it looks like the real deal. Then there is the siren song coming from the exhaust. The engine has a throaty snarl that when blasting around the corner of a sandy wash announces, something wicked this way comes. To improve on the Cherokee’s already impressive off-road chops, the Dakar was given new fascia and rear bumper treatments improving the approach and departure angles to 32 and 39 degrees respectively. The 48:1 crawl ratio paired to Jeep’s advanced traction control system made clearing ledges and other obstacles uneventful. The ride is compliant and comfortable, braking is predictable and easy to modulate, and visibility is unobstructed. It is shockingly capable and easy to drive. The interior of the Dakar is wrapped in black Katzkin leather with red accent stitching adding to the sport-inspired concept. The controls are easy to access and the seats are as comfortable as those in the luxury-laden Grand Cherokee. It would be a superb platform for knocking down long miles punctuated with brief sections of technical terrain. 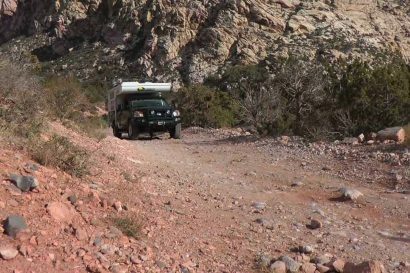 Many consumers have bemoaned the paucity of options for medium-sized overlanders, particularly those capable of traversing more than a gravel road. 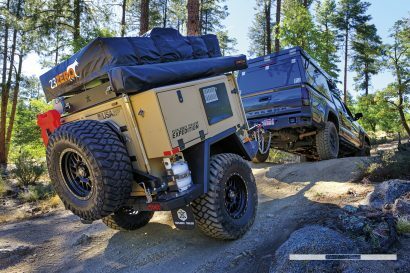 The Dakar, with its 33-inch tires, two-inch lift, rear locker, excellent approach and departure angles, tall stance, and nimble handling put it in a class of its own. 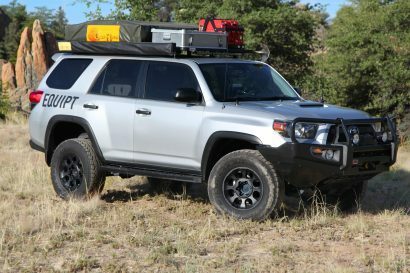 If this is the future of mid-sized overlanding, you can sign me up. I’m sold.